USB ports are much quicker than optical units, so they are much more useful when it comes to installing an operating system quickly. And taking into account that most computers nowadays allow us to launch from the USB port, it is logical that utilities like WinToFlash are developed. This simple program is perfect to create a bootable USB on which we can include all the Windows files that we want. All we'll have to do is indicate where the DVD or CD with Windows is and the letter of the port that USB pendrive is connected to, WinToFlash will format, copy and configure all the things necessary, so that we have a brilliant USB from which to install Windows. 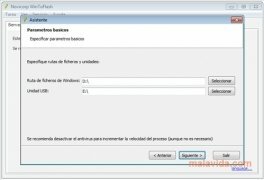 Right now it's possible to transfer Windows XP, 2003 Server, Vista, 2008 Server and Windows 7, to be able to install them straight from the USB memory. But, furthermore, you can also create a sort of LiveCD if your Windows copy allows you to do so. 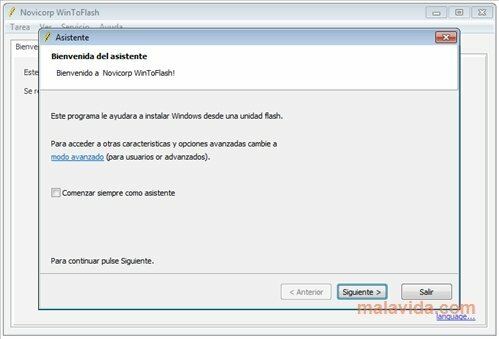 WinToFlash will make sure that reinstalling Windows doesn't become a problem, by making the most of the speed of USB ports.